"True personal growth is about transcending the part of you that is not okay and needs protection." 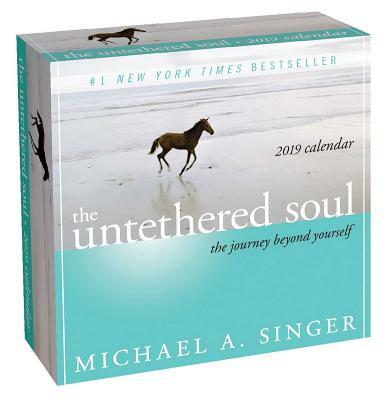 Based on the book of the same name, The Untethered Soul: The Journey Beyond Yourself 2019 Day-to-Day calendar is the perfect way to begin each day, to be present and mindful, and to find ways to move beyond the thoughts and feelings that keep you from truly finding happiness and clarity. Inspiration, growth, and inner peace are the goals set forth by author Michael A. Singer for his readers.